Treatment modalities of combined periodontal-endodontic lesions should eliminate pathogens from the infected area and prevent their re-colonization. The aim of this case report is to explore the effects of Nd: YAG laser on the healing of endoperiodontal lesions (EPLs). A patient with clinically diagnosed EPLs on teeth 33-34 and 35 was assigned to root canal treatment and obturation, removal of bacterial plaque by scaling and root planning and Nd: YAG laser applications. The assessment of healing was performed by measuring the clinical parameters and radiographic follow-up of lesions before and after the treatment. The clinical index values of the patient decreased significantly compared to baseline assessments and full recovery was observed in a relatively shorter time. Nd: YAG laser is a promising tool for successful treatment of EPL with immediate pain relief and reduced treatment time. Treating severe EPLs with Nd: YAG laser can lead to immediate pain relief and reducing treatment time. Meng HX. Periodontic-endodontic lesions. Ann Periodontol 1999; 4(1): 84–90. Rotstein I, Simon JH. Diagnosis, prognosis and decision-making in the treatment of combined periodontal-endodontic lesions. Periodontol 2000 2004; 34: 165–203. American Academy of Periodontology. Lasers in periodontics. J Periodontol 2002; 73: 1231–1239. Thomas D, Rapley J, Cobb CM, Spencer P, Killoy WJ. Effets of the Nd:YAG laser and combined treatments on the in vitro fibroblast attachment to root surfaces. J Clin Periodontol 1994; 21(1): 38-44. Berkiten M, Berkiten R, Okar I. Comparative evaluation of antibacterial effects of Nd: YAG laser irradiation in root canals and dentinal tubules. J Endod 2000; 26(5): 268-270. Aoki A, Sasaki KM, Watanabe H, Ishikawa I. Lasers in nonsurgical periodontal therapy. Periodontol 2000 2004; 36: 59–97. Yukna RA, Scott JB, Aichelmann-Reidy ME, LeBlanc DM, Mayer ET. Clinical evaluation of the speed and effectiveness of subgingival calculus removal on single-rooted teeth with diamond-coated ultrasonic tips. J Periodontol 1997; 68(5): 436–442. Weine FS: Endodontic therapy. Mosby, 5th edition, St. Louis, USA, 1996, p 693–712. 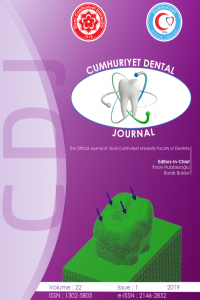 Le Goff A, Dautel-Morazin A, Guigand M, Vulcain JM, Bonnaure-Mallet M. An evaluation of the CO2 laser for endodontic disinfection. J Endod 1999; 25(2): 105–108. American Association of Endodontists’ Position Statement on the Use of Lasers in Dentistry. Adopted April 2, 2000. Koba K, Kimura Y, Matsumoto K, Watanabe H, Shinoki T, Kojy R, Ito M. Post-operative symptoms and healing after endodontic treatment of infected teeth using pulsed Nd:YAG laser. Endod Dent Traumatol 1999; 15(2): 68-72. Koba K, Kimura Y, Matsumoto K, Takeuchi T, Ikarugi T, Shimizu T, Saito K. Pulsed Nd: YAG laser application to one-visit treatment of infected root canals in dogs: a histopathological study. J Clin Laser Med Surg 1998; 16(4): 217–221. Walsh LJ. The current status of low level laser therapy in dentistry. Part 1. Soft tissue applications. Aust Dent J 1997; 42: 247-254. Poten W, Wrone DA, Dover JS, Arndt KA, Silapunt S, Alam M. Low level laser therapy for wound healing: Mechanism and efficacy. Dermatol Surg 2005; 31: 334-340. Dortbudak O. Biostimulation of bone marrow cells with a diode soft laser. Clin Oral Implants Res 2000; 16: 540–545. Stein A, Benayahu D, Maltz L, Oron U. Low-level laser irradiation promotes proliferation and differentiation of human osteoblasts in vitro. Photomed Laser Surg 2005; 23: 161–166.